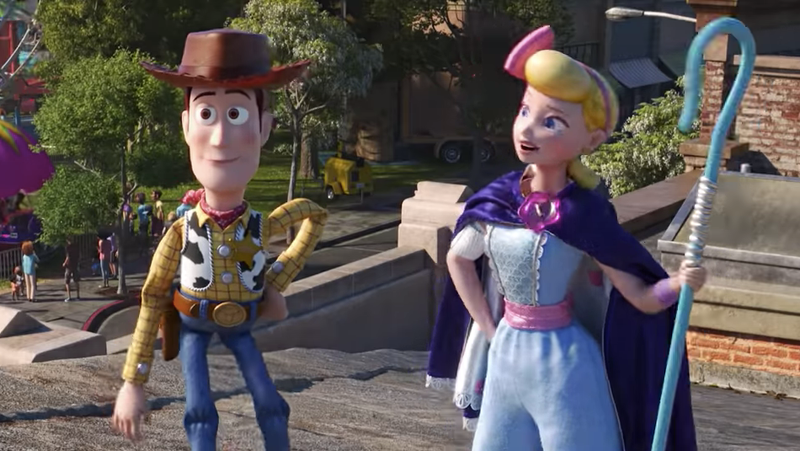 10 days ago, Disney unleashed the first full-length trailer for the upcoming Toy Story 4, and it seemed to capture that old Pixar magic, combining sentiment, smarts, and darkness in equal measure. As it turns out, maybe the reason it conjured that nostalgic glow is because it is chock full of Pixar Easter eggs. Youtuber Jace Diehl has assembled a detailed breakdown of every single reference, character, and moment of imagery from Pixar past to be found in the new film’s trailer, and it’s actually a fairly satisfying rundown for fans of the animation studio. There’s the guitar from Coco, Merida’s clan crest from Brave, the unicorn from Inside Out, and Boo from Monsters, Inc., to name a few. There are some deep cuts, too, like a delivery truck from the TV special Toy Story Of Terror. But the nerdiest of Easter eggs has got to be the inclusion of an old Star Wars action figure—presumably added simply because Pixar animators, like the rest of us, are just a bunch of dorks. Toy Story 4 goes from infinity to theaters on June 21, but you can play armchair detective with the trailer and previous Pixar films at any time.